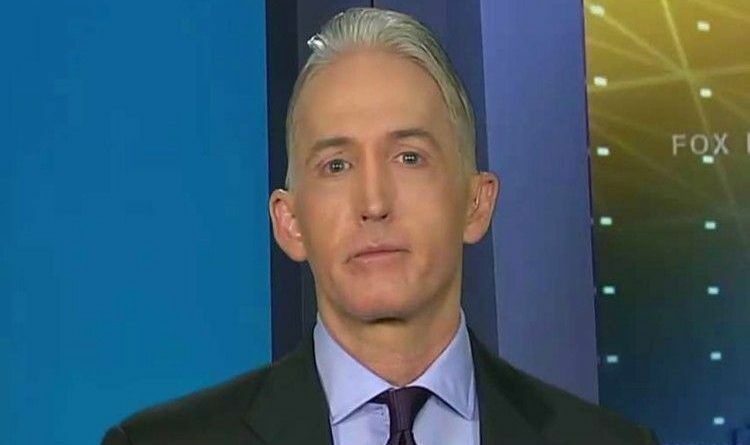 During an interview on Fox News Sunday, Rep. Trey Gowdy, R-S.C., said that it would be unwise for President Trump to fire Deputy Attorney General Rod Rosenstein over his involvement in the FBI raid of Trump’s personal lawyer Michael Cohen. “Does he have the power to get rid of Rod Rosenstein? Yes, he does. Do I think it’s wise? I don’t,” House Oversight Chairman Gowdy said. “What we don’t know is what the basis of the probable cause was, what was searched and what was seized,” Gowdy added. Gowdy, noted the decision to conduct the raid had to be made at the “highest level” of the Justice Department and that a “neutral, detached” federal judge “who has nothing to do with politics” had to sign off on the warrant, which was, in part, made on a referral by special counsel Robert Mueller. In my opinion, there are grounds for Rosenstein’s removal. Rosenstein signed FISA warrants knowing the Dossier was not verified.Then hired Mueller to investigate Russian collusion with Trump! Bottom line is…Rosenstein, Comey, and Mueller are corrupt and should be in prison. We should no longer let criminals run the store. How else can we accomplish the goal of draining the swamp? In this case, AG Sessions is the one that needs to fire Rosenstein and he needs to do it without a recommendation from the president. What do you think? Do you agree with Trey Gowdy?